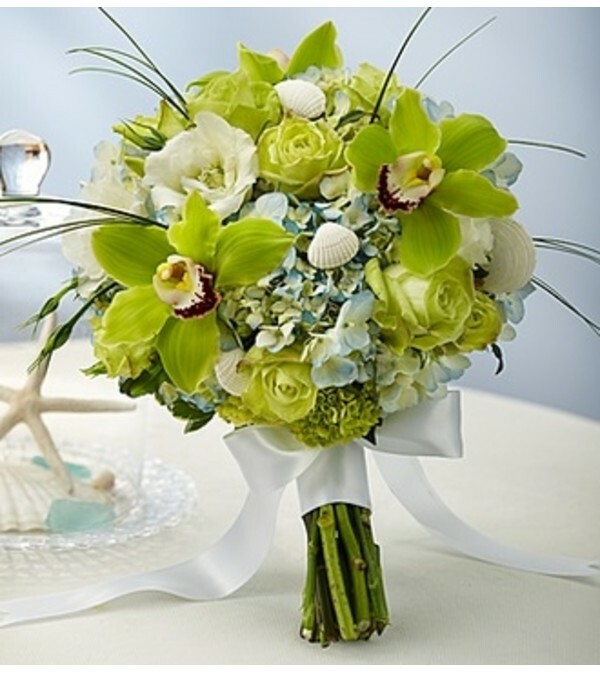 Let this magnificent mix of green roses, blue hydrangeas, green mini hydrangeas and green Cymbidium orchid blooms make your beach-themed wedding a day you’ll never forget. 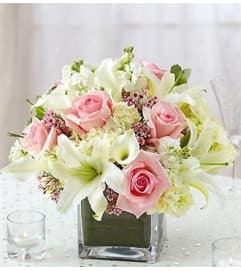 It’s a beautiful blend in all the soothing shades of the ocean, artistically designed by our expert florists and hand-tied with a striking ribbon. 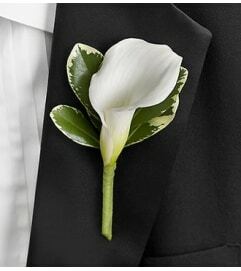 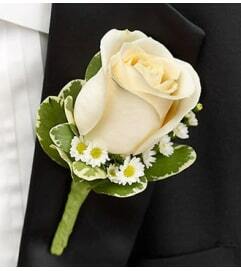 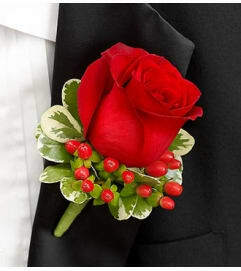 The matching petite bouquet makes a brilliant choice for the mother of the bride or groom, a special guest or as a toss away for the reception.